Hey all. 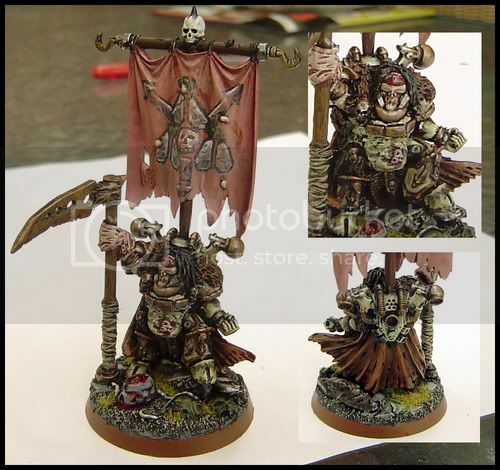 Just thought i&#39;d throw up some of my Death Guard stuff. 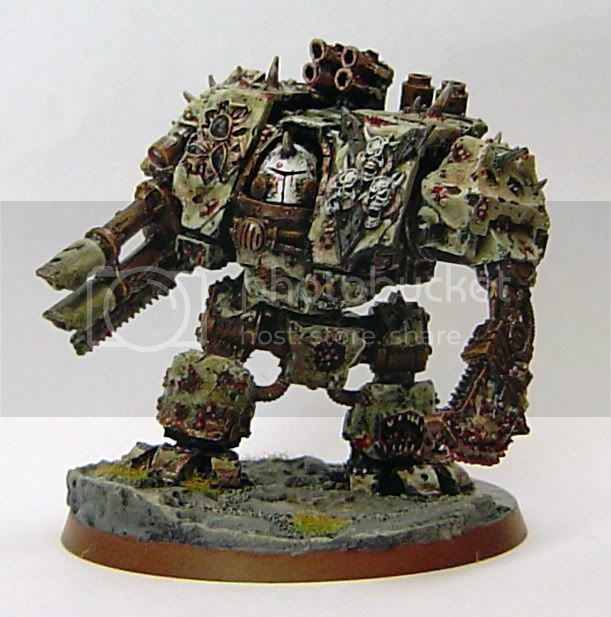 First model is my Death Guard dread (the Forge World one). And heres an unnecessarily small picture of my lord. It was resized for online comps. i know nothing about forge world but that looks awsome!!! www.forgeworld.co.uk if you want to have a look at some of their other stuff, like the new battlesuits. I don&#39;t know whether to vomit or cheer for joy - Love it. The lord looks great. 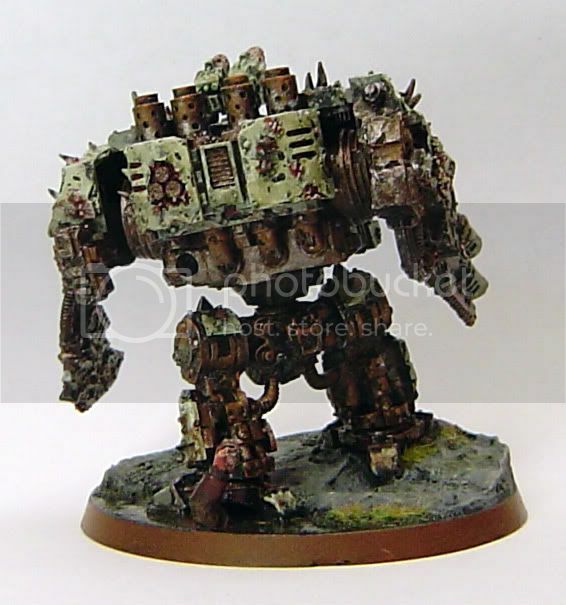 Is that a converted Chaos Lord? Or one of the fantasy undivided lords? Nice banner too. I especially like those storm troopers. The glowing masks gives it a very special tough. Very nice! - Highlight Khaki and white mix. - When it gets to a very olive colour, add in some white for final highlight. - Glow done in Goblin green on helmet, final highlight mix on rebreather.